In November of 2010, I was pre-heating the oven for some chicken nuggets for Holly. I went to the freezer to pull out said chicken nuggets and the next thing I heard was a scream. Holly had crawled into the kitchen behind me, pulled open the drawer where we keep our cookie sheets under the oven, and closed it on her hand. 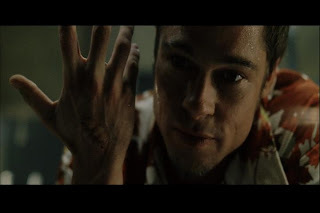 To this day, she still has the Fight Club-ish scar on her hand. Things are different now. Holly will be three in September. She is my little helper. So what’s appropriate for toddlers to do in the kitchen? We have some rules (for now). 1. No hot items. See above. If I’m working in the oven, or I have hot oil on the stove, she knows to stay back and pretend in her play kitchen just around the corner from my kitchen. 2. Stand on a step stool to see what’s going on! Knowledge is power and little kids soak up everything. Case in point: Holly sees me getting out certain ingredients together, she knows it’s ice cream time! 3. Give kids tasks they can handle. So what if she botches up an ear of corn? Kids love to feel like they are helping and they’ll take pride in fixing a meal with you. 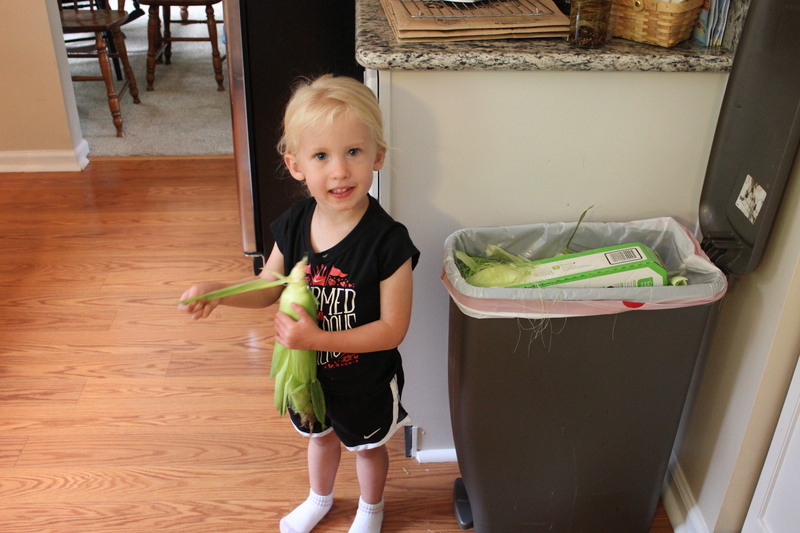 Shucking corn, pouring dry ingredients, or getting bowls out of the cabinets are all ways kids can help feel involved. 5. Let them taste as you go. Licking beaters or trying fresh ingredients will help kids develop a palate beyond chicken nuggets and macaroni and cheese. Holly is becoming a little foodie. It took me a long time to get to where I am in my food journey. This kid was sucking down portobello mushroom lasagna before she was two, now eats plain Greek yogurt and is a pro at the local farmer’s markets. If there was a casting call for Toddler Iron Chef Judges, I’d sign her up in a heart beat.